Firefighters Movers Heath TX | Moving Company - MoveStar Inc.
Heath is popularly known for its residential community that is located along the Lake Ray Hubbard shores in the Rockwall and Kaufman Counties, Texas. With a population of around 7500, the city boasts of preserving a special way of life and keeping everything natural and unpolluted including its ever-so-famous sparkling lake and the rolling hills. It is a perfect place for settling after retirement or investing in a second abode for vacationing. With its serene backdrop, beautiful neighborhoods and unique homes, you surely must think of Heath as one of the options for shifting if you are intending to relocate. And you certainly do not have to worry a bit about shifting your base. With one of the best moving companies, MoveStar at your service you should rest assured of the safety of your assets and efficient loading and unloading. 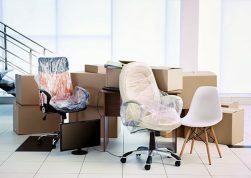 There are multiple reasons why you must hire our firefighters moving company for relocating in Heath. 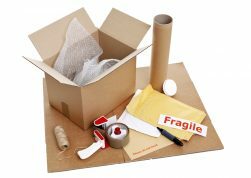 Being one of the most dedicated and disciplined moving company around, we make sure that you get the special customized service that you demand and deserve. Prior to the shifting date, our off duty firemen movers contact you personally and get all the details about the shifting you are planning. We provide you with all the necessary instructions or manual so that you have a clear-cut idea about the exact service the firefighters movers of MoveStar will be offering. We consider it highly important so that you are not in two minds while giving us the responsibility of your assets. So, are you planning to move to Heath? Just contact fireman movers at MoveStar to get the quote and all the necessary information for planning your efficient moving. You can as well question our firemen movers to get answers to all the related queries and put to rest all the unnecessary worries.